Amidst the locust trees that canopy these burial grounds reside the final resting places of many prominent locals and founders. Weathered headstones of granite, sandstone, and embrittled metal dot the rolling hillside, recording biographical information, epitaphs, and the last messages of individuals including Reverend Samuel Bissell, Ethan Alling, and both Wilcox twins: a veritable who’s who of Twinsburg royalty. 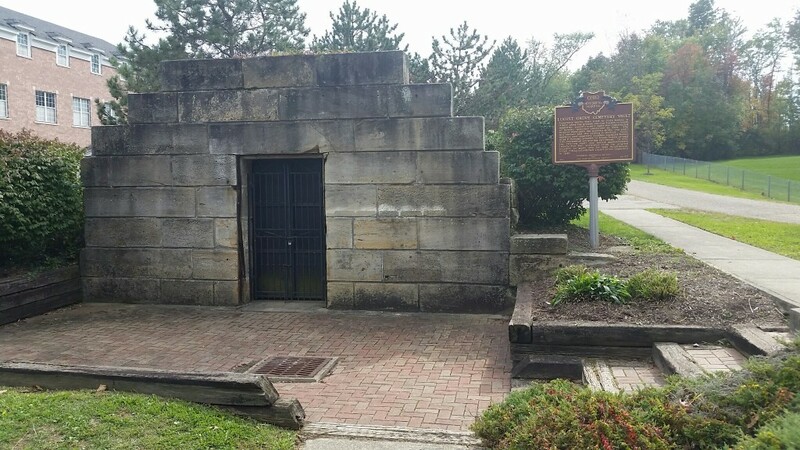 The sandstone vault standing sentry at the entrance was born out of necessity, as the earth proved too difficult to hollow during the winter for the recently deceased. Bodies would lie there in waiting until the biting cold of winter receded and the ground thawed. Eventually, the need it once served waned, and it took on a more historic role in the community. In 1997, the edifice and its 138 tons of locally quarried stone were shifted to make way for land redevelopment, squeezing and confining the hallowed grounds to their current configuration. 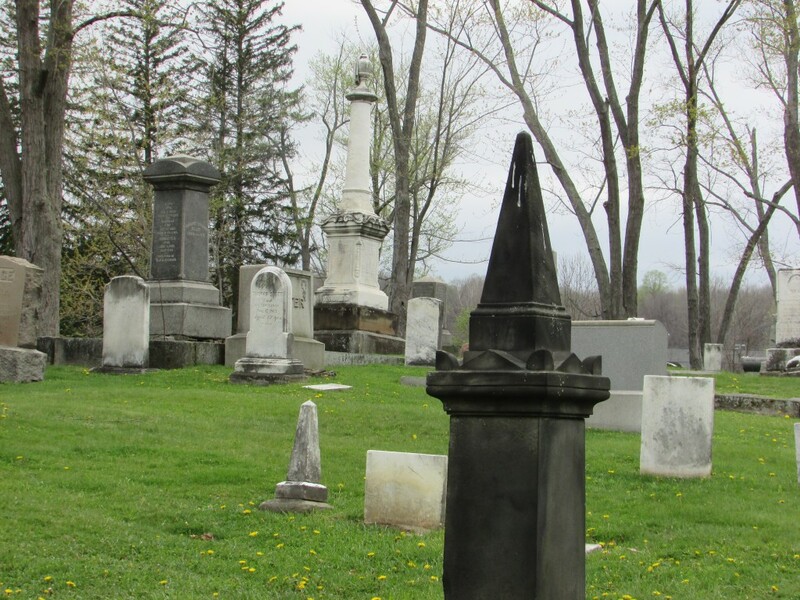 As for the rest of the cemetery, Locust Grove has played host to activities including historical reenactments portraying prominent figures from the past. As autumn approaches and the leaves change, local reenactors converge on the site once again to the delight of spectators as they provide lantern-lit tours, weaving well-known stories for the groups wandering among the gravestones. Posted in Historic Sites and Landmarks and tagged Locust Grove Cemetery.